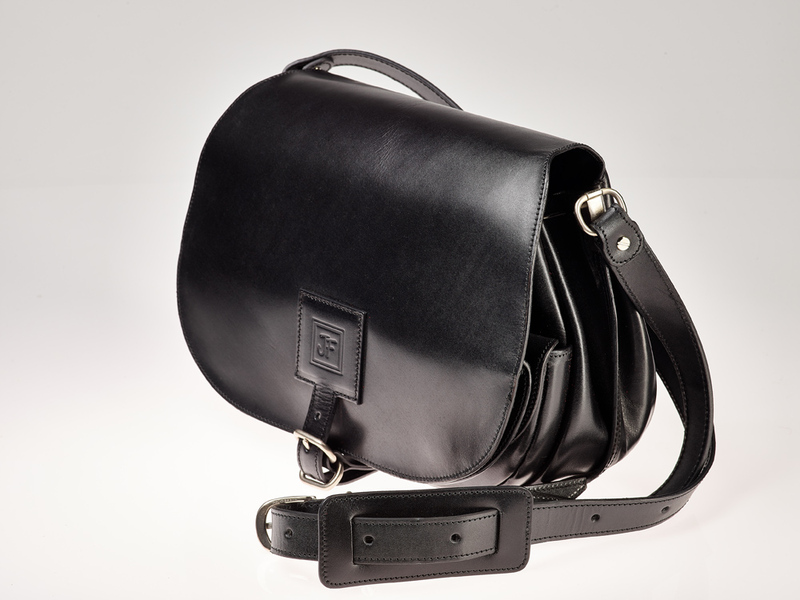 The big saddle is a modern and timeless bag. Compact yet practical, it is full of surprises. You won't be at a loss of space with its multiple slots and pockets. The inner magnetic flap provides ample space for 14 card slots and one zip pocket. The bag consists of one compartment with a zip pocket and an outer pocket with a tictac lock closure. Nickel brushed accessories give the bag a sporty every day look. The crossbody strap is a good anti-theft protection. It comes with a leather piece that gives you comfort and balance. One compartment with one interior zip pocket, a slip pocket, and an outer lock pocket. Flap magnetic opening with 14 card slots and one zip pocket.